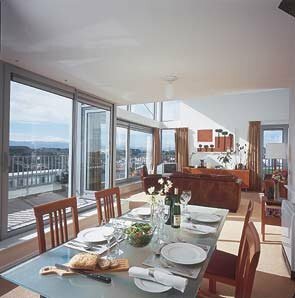 We offer the best selection of Dublin Apartments and Apartments in Dublin Ireland. All our luxury 4-star self catering Dublin apartments are close to Dublin city centre and all the top visitor attractions in Dublin. We offer 1, 2, and 3 bed luxury apartments in Dublin on a nightly, weekly or monthly basis for tourists and corporate guests. All our Dublin apartments are of the highest standards. Call us today to book your Dublin Apartment. For all other enquiries please complete the form at the link above giving your requested dates, party numbers and breakdown (single/doubles). Simply Contact Us with your requirements letting us know the dates required and the number in your party and we will revert in less than 24 hours with prices, locations and availability. Rent a Dublin Apartment offer luxury 4-star self catering Dublin apartments close to Dublin city centre and all the top visitor attractions in Dublin, Ireland. information on what to do and where to go in Dublin.